The Liquor Commission does not have inspectors. We rely on local law enforcement and our key enforcement arm, the Nebraska State Patrol. Complaints and application reviews are sent through the Nebraska State Patrol. Visit Nebraska State Patrol for more information. Available for law enforcement is the 2012 NLCC Law Enforcement Handbook. It is a pocket sized edition of the Liquor Control Commission's rules and regulations and the state statutes pertaining to liquor. The handbook is edited to contain the most frequent statutes and regulations that are used by law enforcement officers in the field. It also contains a summary of the elements of most violations and other information useful to law enforcement officers. Available at no charge for law enforcement officers, agencies and prosecuting attorneys upon request. 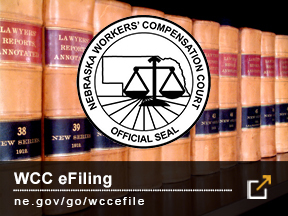 To request this handbook send an email to lcc.enforcement@nebraska.gov. To view the current look of forms of identification for the State of Nebraska visit the DMV website. See locations for live scan fingerprinting. Complaint Form - Tell us what you know! Age Verification Checklist - Guide to verifying age for alcohol sales. 50 Possible Signs of Intoxication - Are you serving past intoxication? Advertising & Coupons - Learn the guidelines to promote properly!